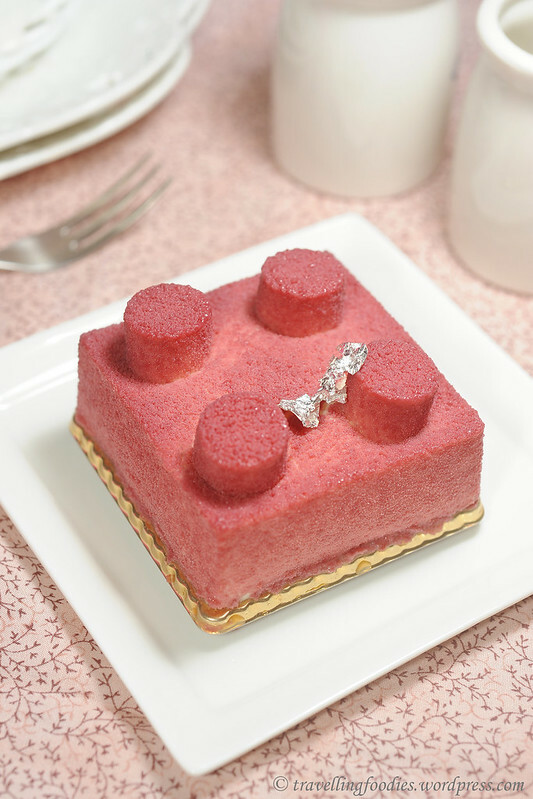 The first piece I’d tried is La Cerise. Don’t be deceived by its looks. 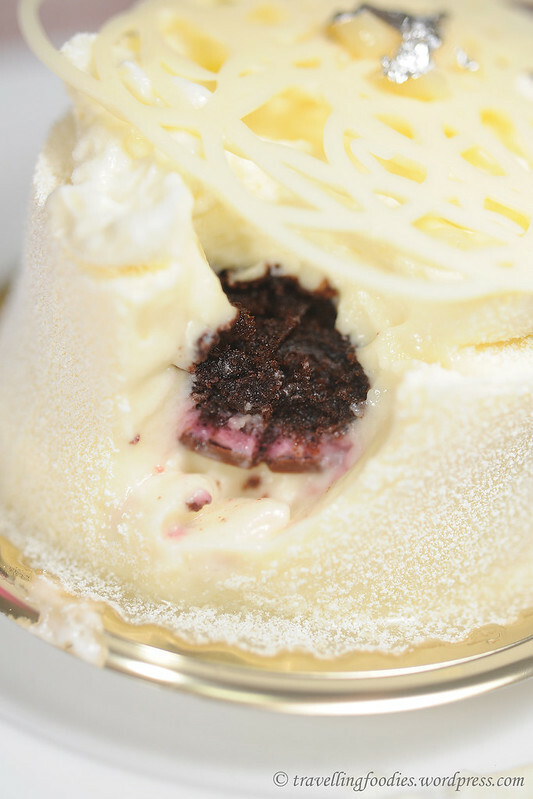 Donned entirely in a shade of white like a french lady in her wedding gown, is actually a forêt noire aka black forest cake in disguise. 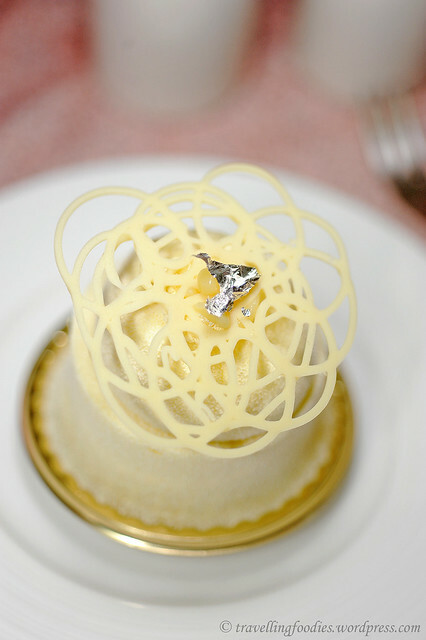 Under the white chocolate decor and edible silver leaf is a large dollop of crème chantilly spiked with kirsch, quite vividly in flavours. Definitely hitting first base. Enshrouded under that veil of white chocolate and cocoa butter concoction lies intermingling layers of dark chocolate sponge, gelée de griottes, palets de chocolat noir and confiture de griottes. The dark chocolate sponge layers add reasonably depth for the whole piece whilst the jelly and conserve layers of sour cherries added a really lovely tangy and moreish dimension. 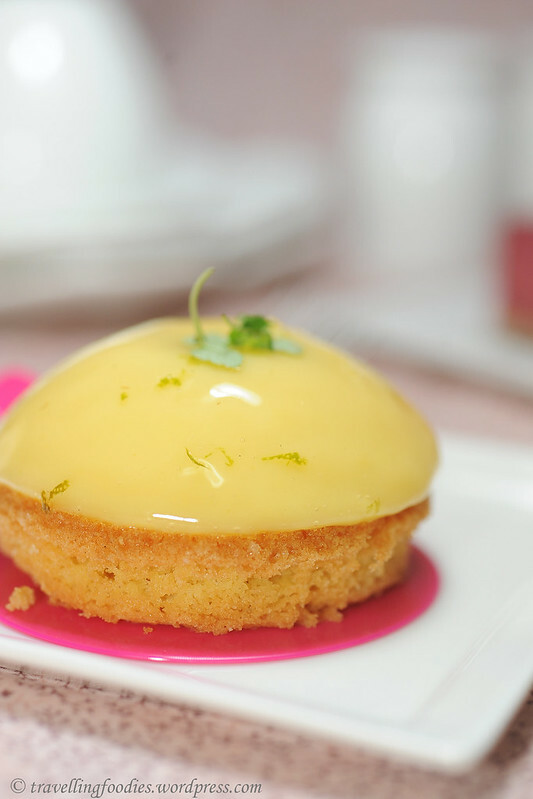 But on the whole, this piece swayed towards the sweet end, owing to the liberal use of white chocolate in the mousse used to cover the bottom half. On the whole, it is too sweet for me. I loved some of its details, like whole sour cherries in the fruit conserve as well as the slightly acerbic nature of from the fruit. The additional crunchy dimension from the two chocolate discs was quite lovely as well. And of course, I loved the liberal use of kirsch, though I do feel that the overall flavours could be more delicately balanced. The sweetness from the white chocolate is really quite overwhelming. 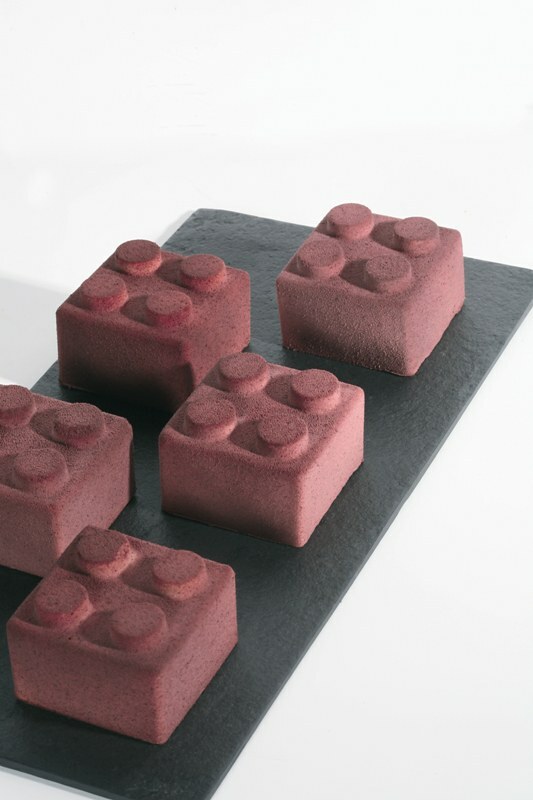 La Peche is another interestingly constructed piece, made to look like a Lego brick, owing to the use of silicone moulds in its making. This would definitely attract the attention of anyone who walks pass the chiller display. A first in the local pastry scene I believe. However, I found it strangely familiar when I first saw it couple of weeks back, as if I had seen it before somewhere. I went back to flip my pastry books as soon as I got home and true enough, I’d seen a similarly constructed piece by Chef Francisco Migoya from the Culinary Institute of America being featured in the June 2011 issue #6 of “So Good”, a professional pastry journal published biannually. The appearance was remarkably similar. I would say almost identical, down to the purple cocoa butter concoction sprayed over it, save for that additional detail of edible silver on Canelé’s piece. La Peche‘s composition was however “unique”. The base consists of a dense cake layer, which I later found out to contain mirliton, better known as chayote in our part of the world. I guess it likens to using carrots in the American carrot cake? Or perhaps it was cooked and pureed before adding to the cake batter. Whichever the case, I think it did little to aid in the texture and flavour of the cake, apart from probably imparting heft. The cake was resting on a layer of toasted almond slices, and on top of it a layered of cooked and candied apricots and peach slices. Ironic it might seem, the sharp and lighter flavours of preserved apricots were much much more apparent than the peach slices, the latter I must say I had difficulty discerning at first. This is topped with a layer of créme de pêche and finally mousse au vanille. While the vanilla mousse was delightfully flavourful, the peach cream was rather nondescript. This is rather unfortunate, as the stonefruit which was meant to be theme of this piece, is rather mildly flavoured to start with. Such a shame given the ethereal aroma peaches exude when they are totally ripen and in full flavour, but I got none of that when I sampled the piece. Perhaps more work could be done to accentuate the lovely aromas from it while putting more thought to ensure that those delicate flavours are not masked. On the whole, I tasted more apricot than peach in this piece. 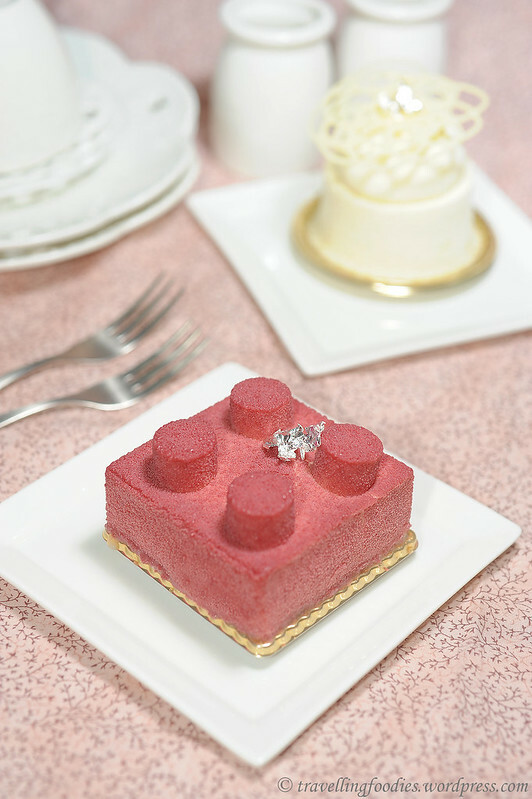 I would rather this be called “La Brique“, or even simply in a somewhat forthright manner, “Lego” as Chef Migoya had done. To name it after the fruit but yet not being able to put forth its qualities to the fullest leaves too much to be desired. So “unique” here seems to imply being different rather than being special. Le Citron, the last piece I sampled is a lemon tart in name. Unlike the conventional run-in-the-mill tarts which uses pâte sucrée as the tart base, Canelé’s recent rendition used a sablé disk as the base purportedly for its crumbly texture. 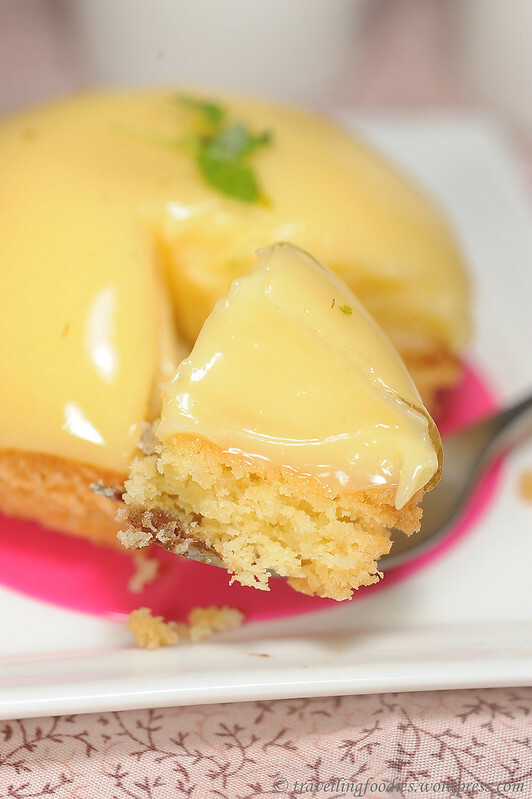 Unfortunately, moisture from the lemon curd layer above permeates through to the base causing the latter to yield to become slightly soft and soggy. So much of the anticipated crisp and crumbly textures are lost. Also, the base lacks in flavour and character which I’d expected, akin to the butteriness one would find in a well made Sablé Breton. Quite disappointing. The saving grace for this piece, and possibly for all three pieces of petit gâteau in this modest sampling, is the extremely delicious and well-made layer of lemon curd, über smooth and appropriately sharp to the point of being refreshly enjoyable but not to the point of being squeamishly revoking. Worked into a dome which is then applied with a layer of glaçage neutre with grated citrus zest thrown in for that extra zing, the little leaflets of lemon balm worked well to elevate the piece in aromatics. 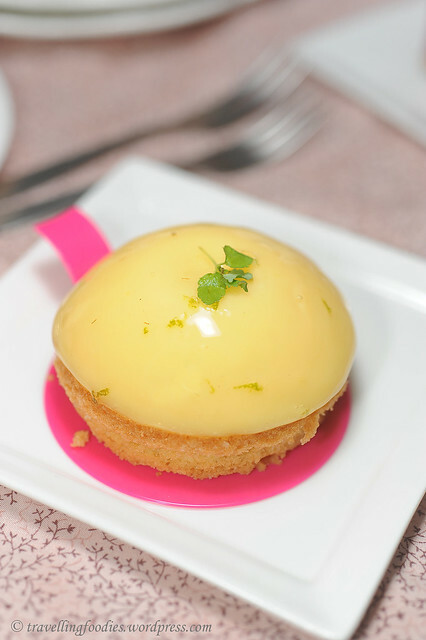 Despite its simplicity in composition compared to the other two pieces, I found the lemon tart to be the most enjoyable. It is, in my opinion better than Canelé’s previous version which has some hint of Pierre Hermé’s Tarte Tarte Infiniment Citron in its appearance, though my personal favorite is still the version which they made back in 2010. This entry was posted on December 20, 2012 by Alan (travellingfoodies). 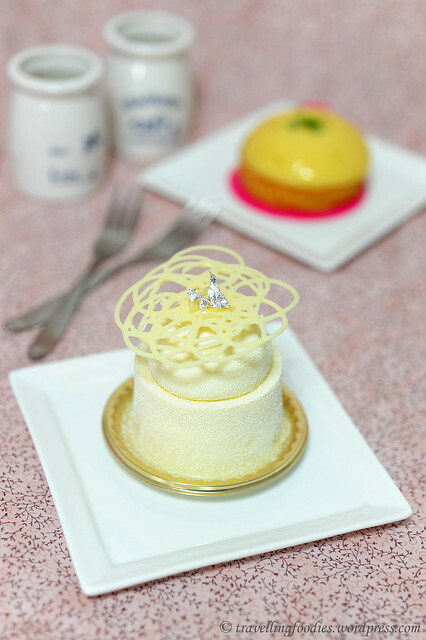 It was filed under Food and was tagged with Canelé Pâtisserie Chocolaterie, entremet, french dessert, french pastry, la cerise, La peche, le citron, pâtisserie, petite gateaux, Plaza Singapura.